Located north of the Johannesburg CBD, Braamfontein office property market attracts small businesses, NGOs, government departments and educational institutions. The node appeals to very cosmopolitan tenants due to its competitive rentals, strong heritage that enables businesses to attract and employ the youth market. The node is seeing a lot of activity and retailer interest which includes Puma Select, L´Oréal Institute and a buzzing nightlife with offerings such as The Orbit Jazz Bar & Restaurant, The Smoke and Grill and most notable, the Neighbourgoods Markets held every Saturday mornings. Gross asking rentals range between R65 –R90/m2, says Broll Commercial Property Brokers, Keke Khojane and Shimi Morekure. Although the node has had limited new office developments due to lack of vacant land and the conversion of office space to residential units, Braamfontein remains the fifth largest office node in Johannesburg with a total of 464,475m² office space. In the first place is Johannesburg CBD, followed by Sandton, Midrand and Bryanston. Khojane and Morekure explain that Braamfontein is an old, well established mixed-use node, characterised mainly by high-rise, high-density developments (commercial and residential) mostly housing retail street level and residential on the upper floors and office blocks with good public transport infrastructure. It is also tenanted by a number of educational institutions, public sector organisations and civic amenities which include the University of the Witwatersrand, the City of Johannesburg and the Nelson Mandela Theatre. “We are seeing increased demand for offices from NGOs and start-up businesses in Braamfontein,” they say. This is as a result of affordable rentals as well as improved access to public transport and security. NGOs also like to train and employ the youth and no place in Gauteng is best suited for students than Braamfontein. These NGOs look for office properties measuring between 60m2-300m2 while advertising agencies want properties of between 200m²-300m² and colleges range from 800m²- 4,000m². From the property transactions concluded, it is clear that Braamfontein has grown over the years to become a sought after commercial property node and a lively entertainment and residential environment mostly accommodating the young at heart. “Increased investor confidence can be attributed to the successful implementation of the CID as well as the continuous growth in demand for student accommodation as seen in the conversion of many office blocks into residential units. Furthermore, the brokers say Call Centres for companies such as Capitec and All Life have taken advantage of the competitive rentals in Braamfontein. 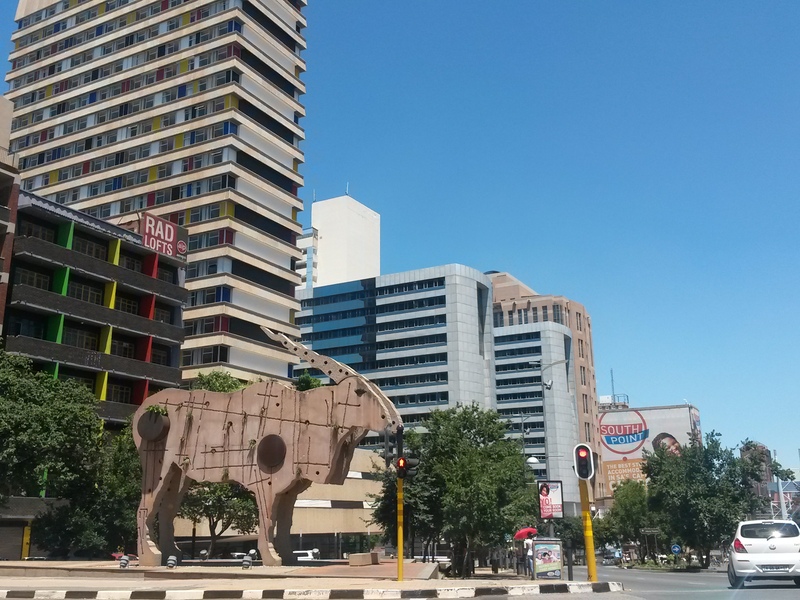 Others such as World Wildlife Fund are currently developing their own office building while L´Oréal opened a training facility making it one of the recent retail groups to find a home in Braamfontein. Prime offices are located along Jorissen and Ameshoff Streets and this is where higher rentals are being achieved compared to other parts of the node. The conversion of primarily C-grade office space is taking a large part of secondary office stock out of the market which gives an additional boost to rental growth within the node, according to Khojane and Morekure. The central hub includes the block that covers De Beer, De Korte, Juta and Melle Streets and this is where new offices to suit tenants with specific requirements like World Wildlife Foundation are about to complete their development, they add.